Pesto! The Flavor of SO Many Possibilities. 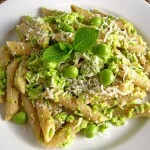 Pesto is easy to make, richly flavorful and so versatile! •	Blend all of these ingredients together, mindful of the amount of oil poured, as well as time spent blending to adjust–to your taste and texture pleasure! 1. Simmering on the stove, while I was creating the pesto, was a pot of bow tie-shaped pasta. When the pasta was al-dente, I mixed it with the pesto then added fresh mozzarella chunks and sliced cherry tomatoes. It’s cooling in the fridge to be savored later! 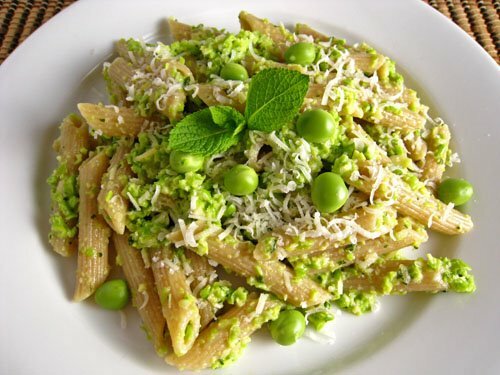 This pesto dish is SIMPLE, REFRESHING, and HEALTHFUL! Walnuts can be subbed in for the pine nuts, and I do sometimes throw in some spinach into the blend. Or, after a layer of fresh mozzarella has been added. This stack of happiness then gets drizzled with a good-quality fig vinaigrette. Magnifique! •	On a crusty baguette that is then covered in a thin layer of either mozzarella or parmesan cheese and placed under the broiler for a moment. Yum! 2. Cut up a bunch ‘o veggies and layer on a baking tray. Drop dollops of pesto around the veggies, and bake for 10 minutes on one side, in a 350-degree oven. 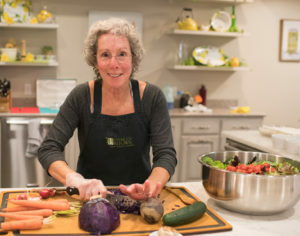 Gently turn the veggies, mixing in the pesto a bit, and bake on the other side for 5 – 10 minutes, depending on the amount of crunch you’d like. The more crunch the better, I say! Think: carrots, cauliflower, garlic cloves, purple onion chunks, broccoli, mushrooms, zuchinni, sweet peppers…pretty much whatever veggies are in the fridge can end up in this divine and SIMPLE roasted veggie side dish. 3. Or use an olive oil, salt and pepper marinade on those same veggies, saving the zippy flavor of the pesto for dipping roasted vegetables into! 4. Any additional left-over pesto can be mixed into scrambled eggs, spread along side cream cheese in a sandwich, or for a real delight, spread the pesto inside of a Medjool date…need I say more…?